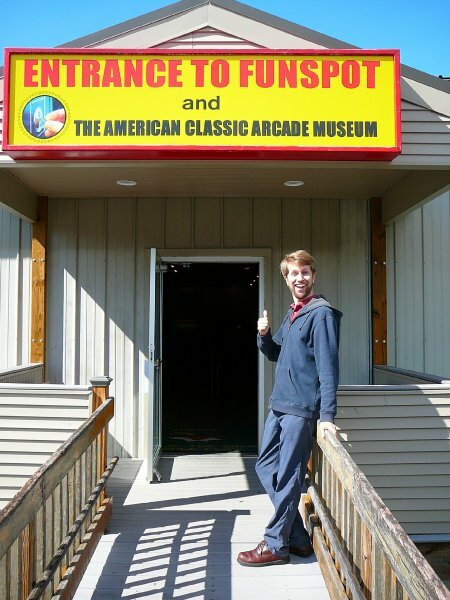 This past weekend was the 10th Annual Classic Video Game and Pinball Tournament at Funspot, aka The American Classic Arcade Museum. 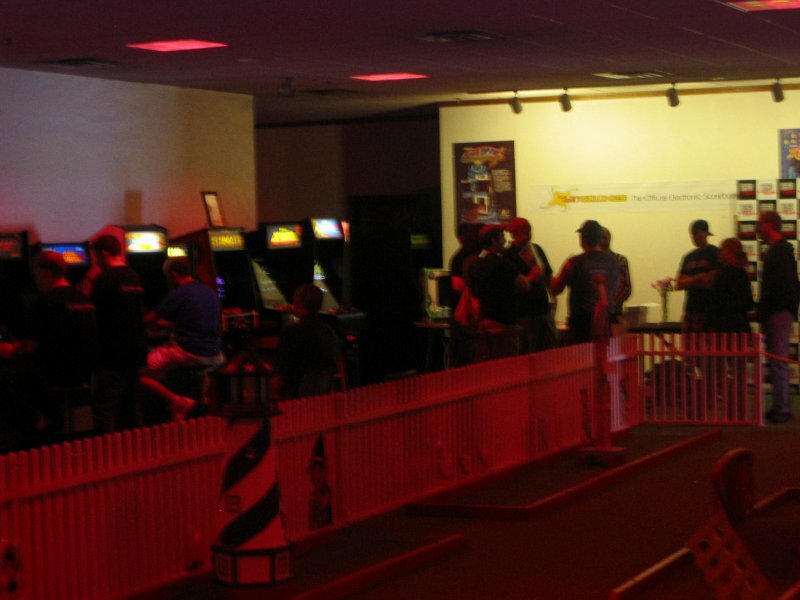 At this event, gamers with a penchant for coin-ops of old gather to make and break records from Arkanoid to Zaxxon. Not about to miss either this landmark event or an opportunity to indulge in one of the biggest and best retro arcades in the United States, I made the two-hour trip across state lines this past Saturday to see who and what would be making headlines. Immediately noticeable upon entering the dim hall were some significant rearrangements. 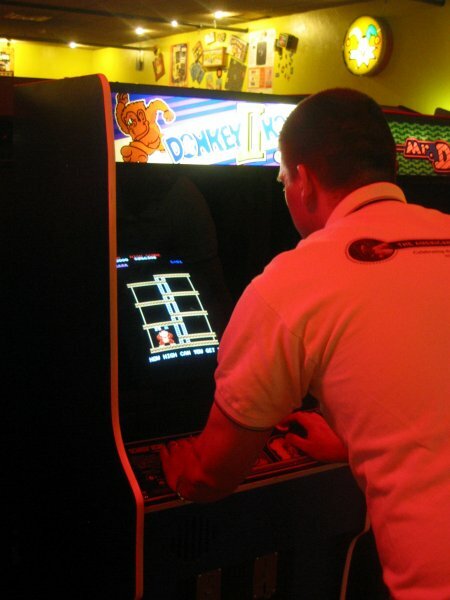 I had wondered how accessible the arcade's 200+ cabinets from the Eighties would be during such an event, but the arcade staff hadn't shirk in their preparations. 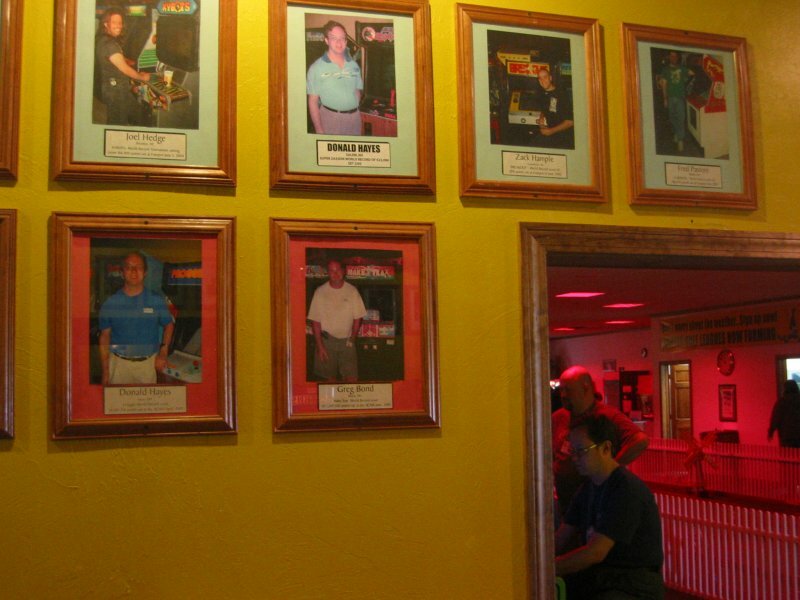 Along one wall of their indoor minigolf hall was lined each cabinet featured in the tournament, having been wheeled there from the general game floor. Admission to this roped-off area came with a $30 entry fee, but anyone not competing could ignore this hall entirely and enjoy the Funspot's other offerings, albeit sans the competition titles. It was the people sitting at those units that were my initial attraction. I'd brought my copy of King of Kong with me but was unsure of the propriety of asking for autographs, as the film had represented only one person favorably, and its other stars might take offense. 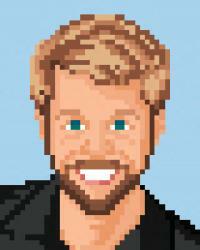 I asked the arcade supervisor if Steve Wiebe was in attendance. "He's not," she lamented, "but several people from the movie are." She rattled off a list of names, including Mark Alpiger, and I myself had spotted Walter Day. Ultimately the most I could muster was to grin foolishly as Referee Day walked by, which he acknowledged wth a hello. I decided, even if these gamers are celebrities, they weren't here to be famous, and I did not want to distract them from their high-scoring goals. From across the minigolf terrain, there was little expert gaming I could witness, so I repaired to the amateur hall to enjoy some gameplay of my own. Several new machines had been added to the collection just since my last visit in September, prompting me to marvel how even a historical museum can remain new and exciting. 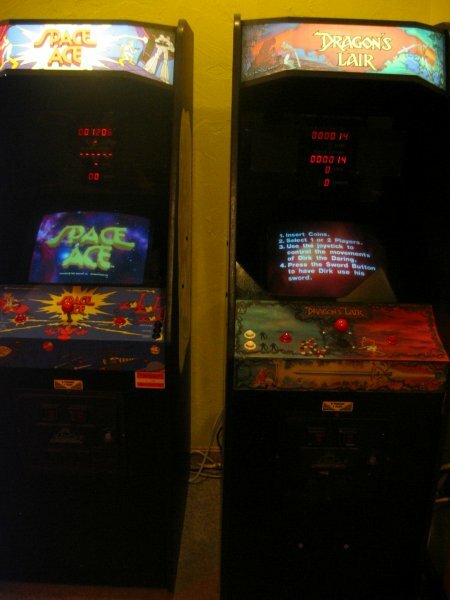 With just a fistful of quarters, I didn't spend much time at the arcade, knowing I'd be back soon and in more gaming-oriented company. But being even a momentary witness to the stars of this niche realm made it worthwhile trek. 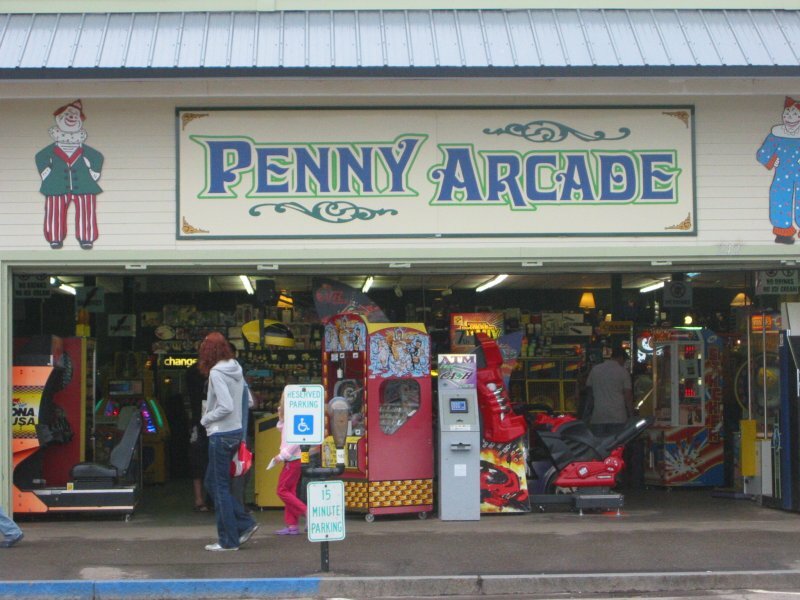 Weirs Beach is home to many beachfront arcades, some with an more eclectic mix of old and new than Funspot. Computer Space, one of the first ever video games. 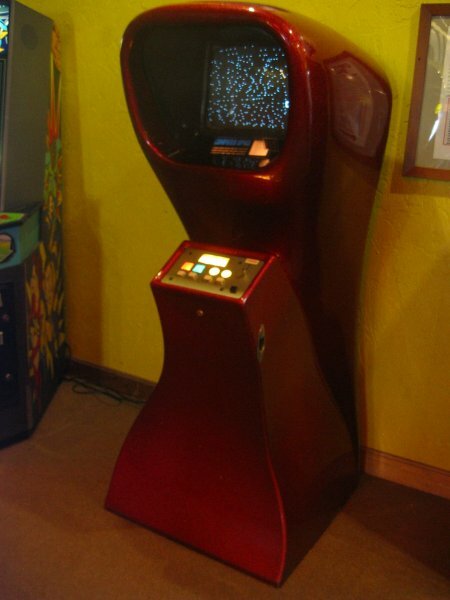 The last time I saw one of these machines was 5-May-00 at SEGAworld in Sydney, Australia. Space Ace and Dragon's Lair, both by Don Bluth, were added to the Funspot collection since my last trip here in September. This Donkey Kong II unit was in pristine condition, looking almost new. 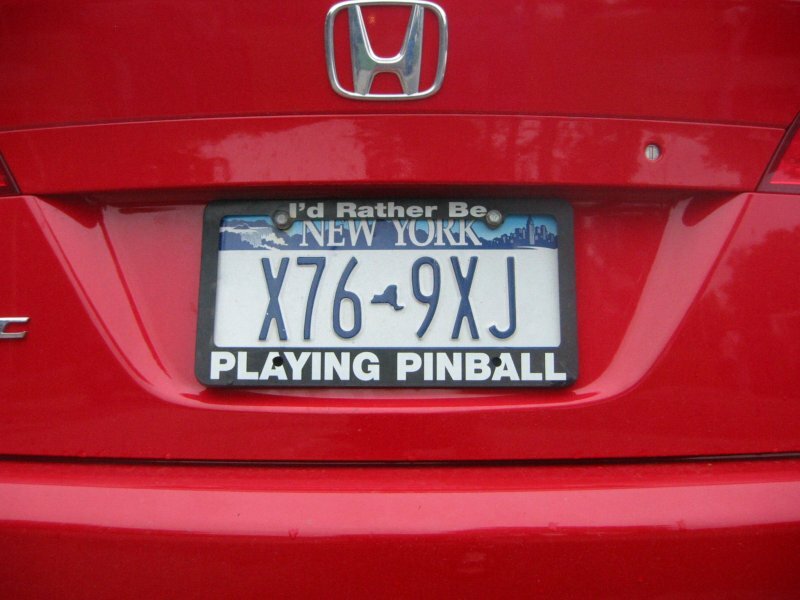 Amazingly, I'd never even heard of this game. Several gamers brought along video cameras to record their sessions. On the wall of fame are multiple photos of record holder Donald Hayes... and hey, who's that sitting in the competition arena? The competition room. 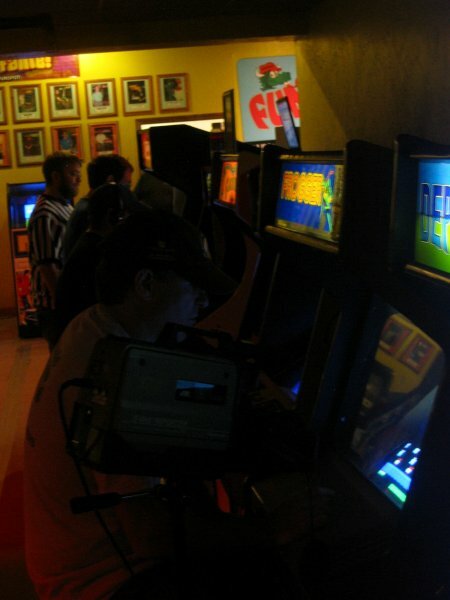 You can't see him very well hiding behind someone else, but that's Walter Day of TwinGalaxies over on the right. Enter into this cavernous space and you may not emerge for days. Courtesy Digital Press, here's an even better photo album of this past weekend's tournament! Here are the results of May's competition. Look at Isaiah "Triforce" Johnson racking up the records!! Posted On Jun 2, 2008 in News with 2 Comments.